Koolen-Wijkstra, W.M, & van Erven, T.A.L. (2015). 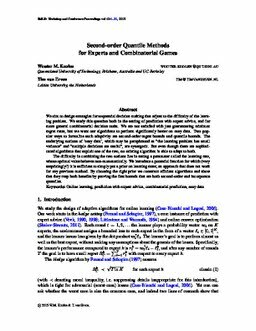 Second-order quantile methods for experts and combinatorial games.